Enrichment via simple Fishers exact: Combine or not? how define a value for features with different frequency? How do I plot the posterior probability distribution of a particular node from a stochastic character map? 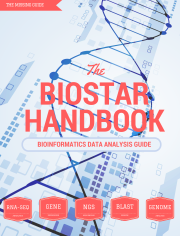 How to create a summary statistics data table for omics data? How can I calculate the C:N ratio (or just number of carbons and nitrogens) of each amino acid sequence in a multifasta file? (Single-locus) GWAS tools with efficient resampling (like in SKAT)? Good Books And Resources For Figuring Out Biostatistics?